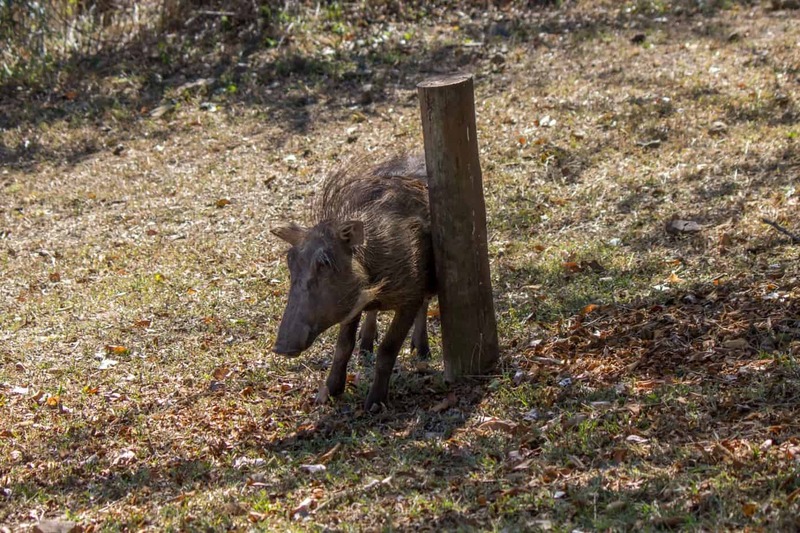 The common warthog, or simply warthog (Phacochoerus africanus), is a widespread species of wild pig on the African continent. Its name comes from the four wart-like growths found on the face, which are used as fat reserves. The growths are larger in males, and are also used when fighting. 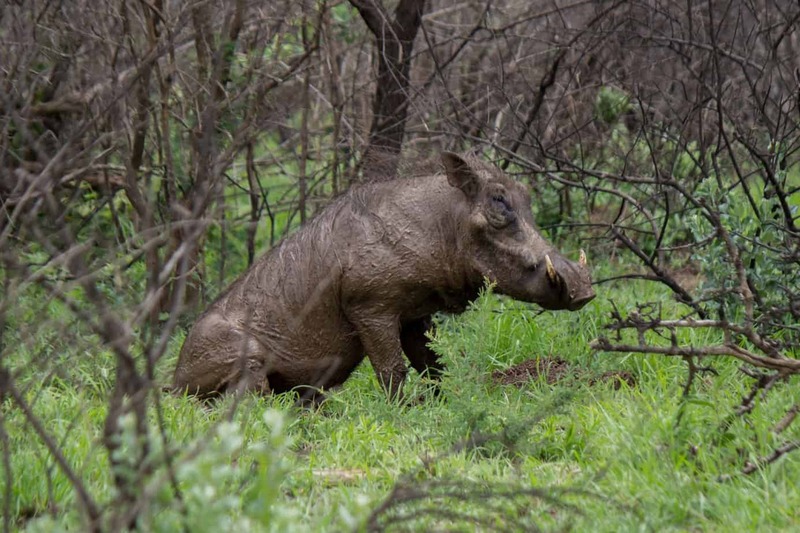 Warthogs are medium-sized mammals with a shoulder height reaching up to 85 cm (33.5 in). 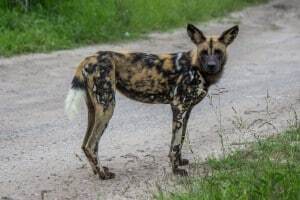 Males are larger than females, with weights at 60-150 kg (130-330 lb) for males and 45-75 kg (99-165 lb) for females. 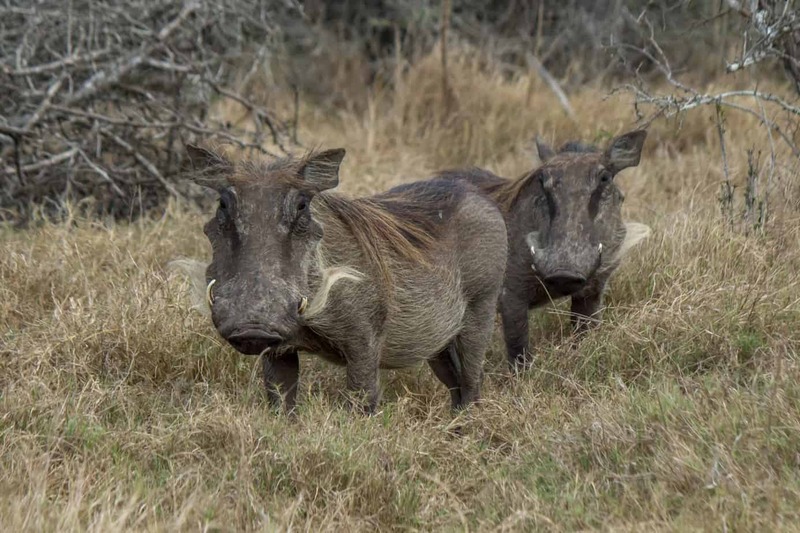 Apart from the facial growths, warthogs are also known for their two pairs of tusks. There is a small pair in the lower jaw, and a much larger pair in the upper jaw. 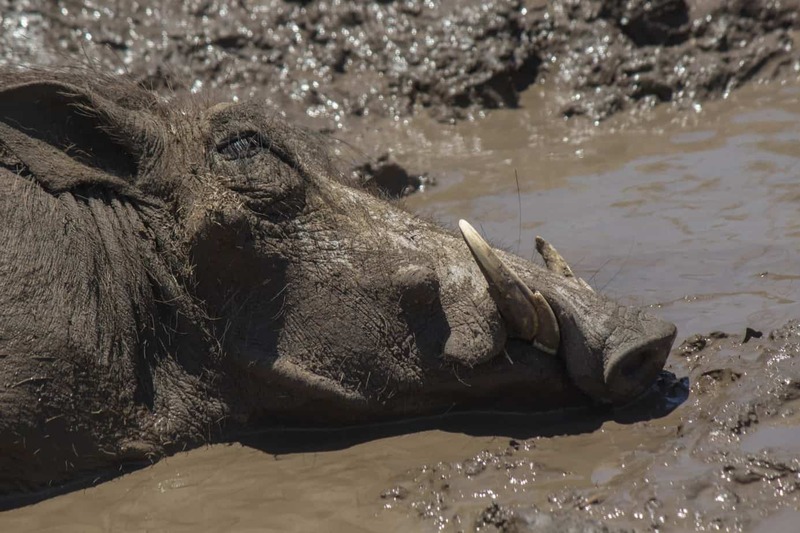 The tusks are used for digging, fighting other warthogs, as well as defending against predators. 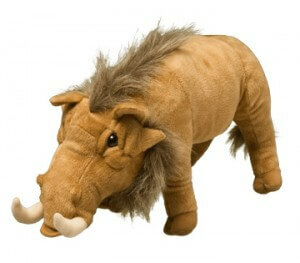 The tusks of the upper jaw can reach a length of 25.5 cm (10 in). 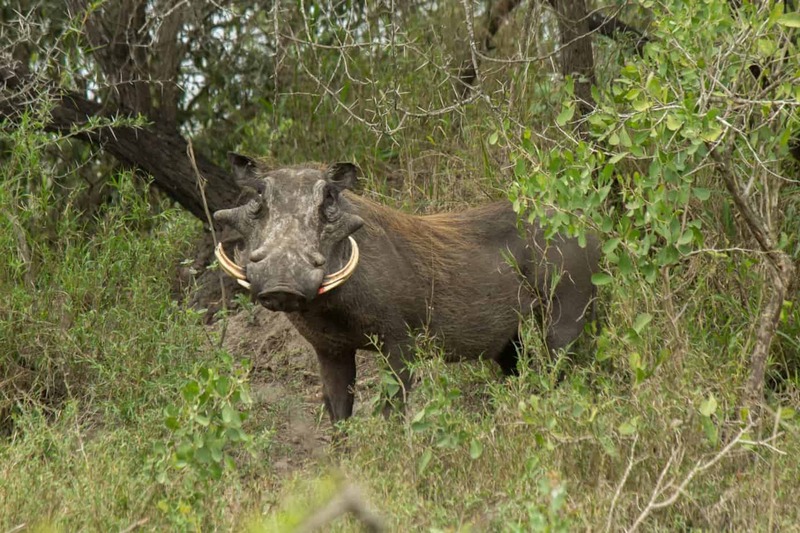 As a warthog opens and closes its mouth while feeding, the tusks of the upper jaw will constantly brush against the tusks of the lower jaw. This makes the lower jaw tusks razor-sharp and have the potential to inflict serious damage and injury. 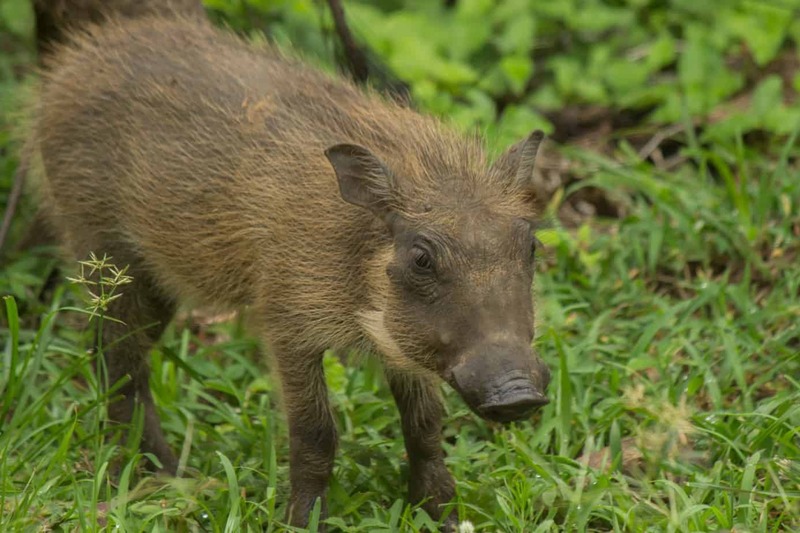 The common warthog prefers savannah, grasslands, and open woodland, and, together with the desert warthog (Phacochoerus aethiopicus), is the only species of wild pig adapted to open habitats. 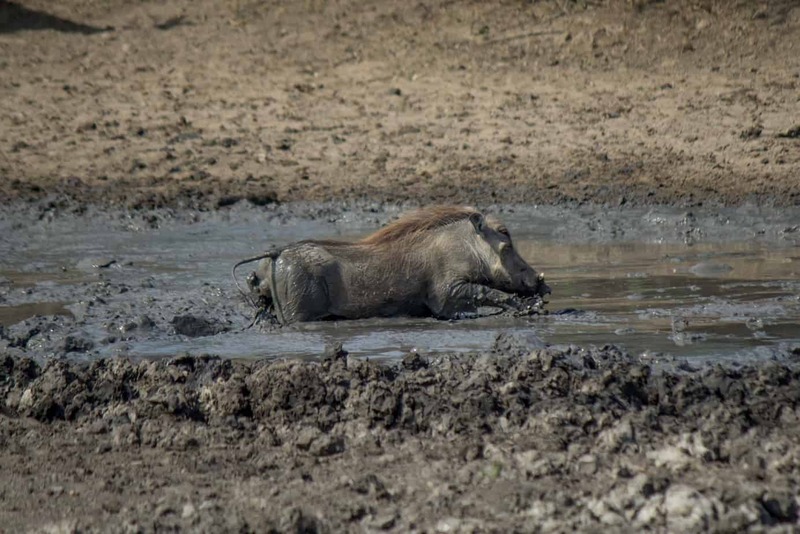 During the wet season common warthogs often graze on different grasses, but in the dry season it tends to go for the more nutritional underground parts of plants, such as roots, rhizomes and bulbs. 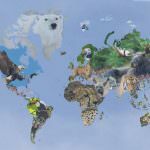 They are omnivorous animals and will also eat fruits, berries, eggs, insects and carrion. 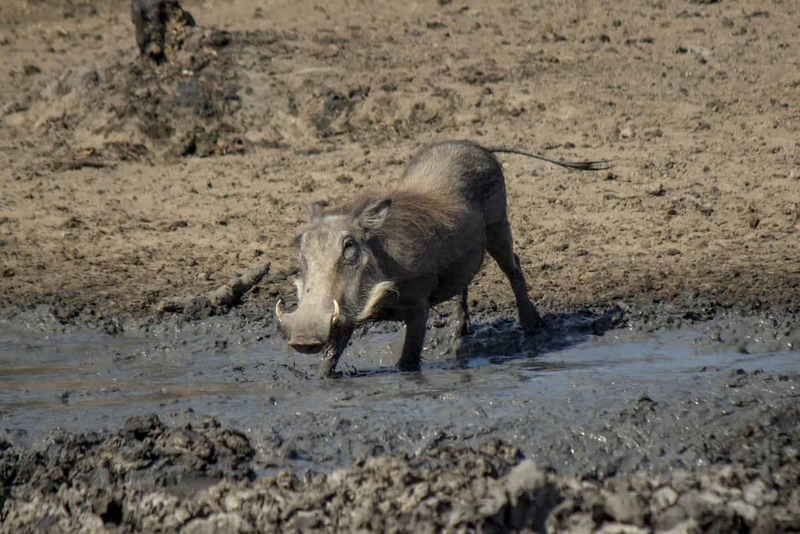 Warthogs are capable diggers and will use their snout and feet to dig for food or to create burrows, though they often stay in burrows created by other animals, such as the aardvark. 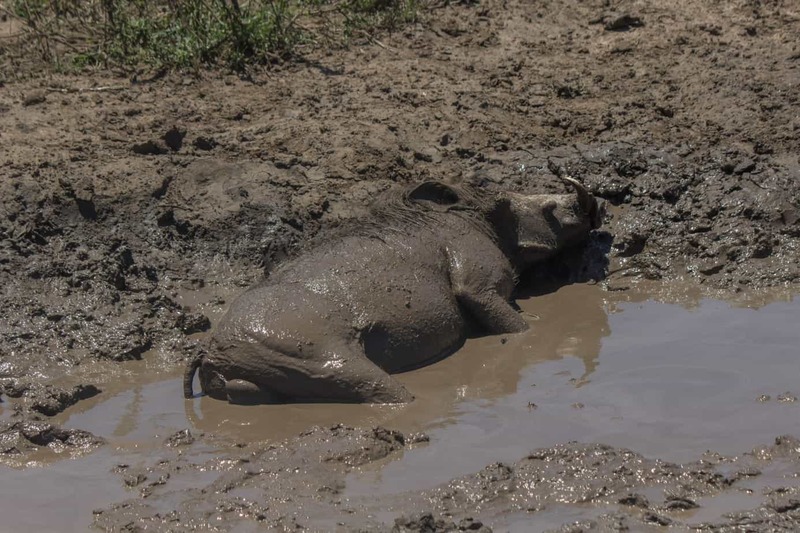 When hot, common warthogs are often found wallowing in mud, and when cold they huddle together for warmth and shelter. 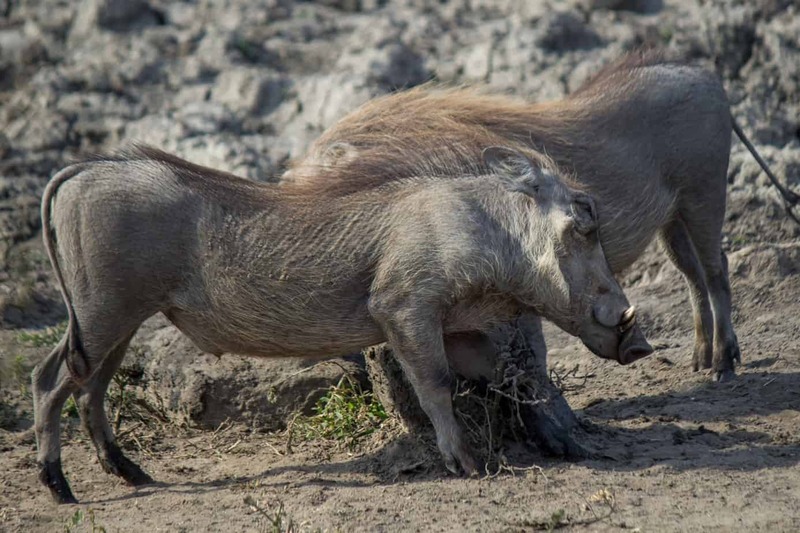 Warthogs are partially social animals, and females with young live in groups called sounders. Sounders occupy home ranges but are not territorial. 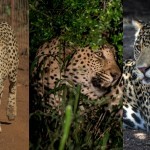 Young males form bachelor groups, but will leave for a solitary life upon reaching full adulthood, though they often stay within their natal group home range. 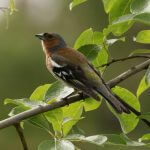 Adult males only join up with sounders to mate with estrous females. 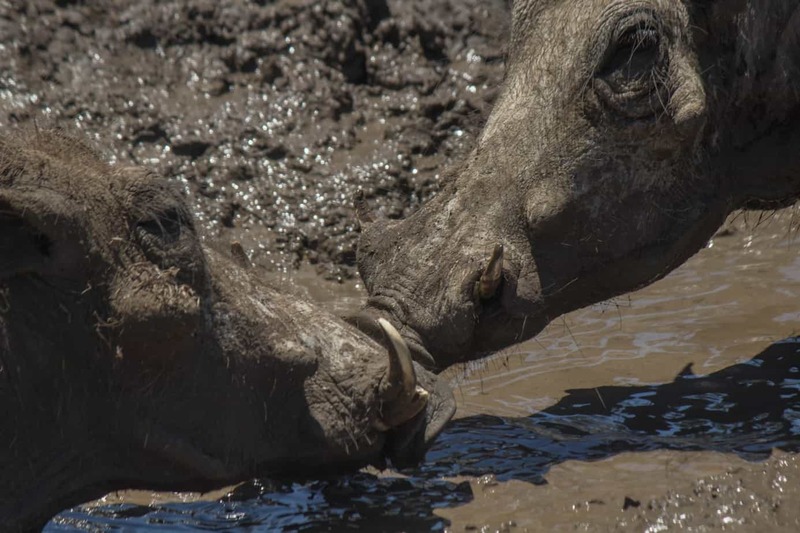 Mating season normally occurs at the end of the rainy season or beginning of the dry season. 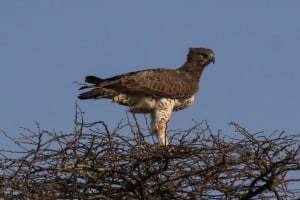 Males will either stay and defend females within his range from other suitors, or actively seek out estrous females. The male will often wait for a female outside her burrow and try to fend off any competition close by. He will have to show his dominance before being allowed to copulate with the female. 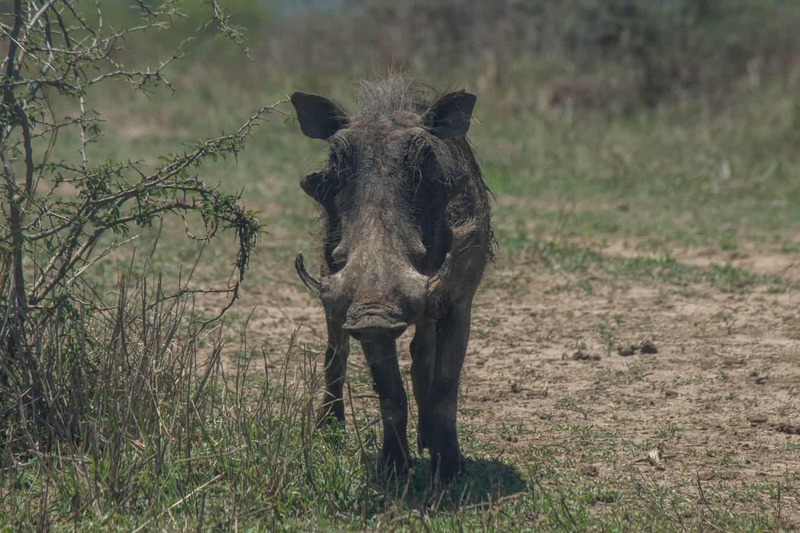 Gestation period for common warthog is from five to six months. 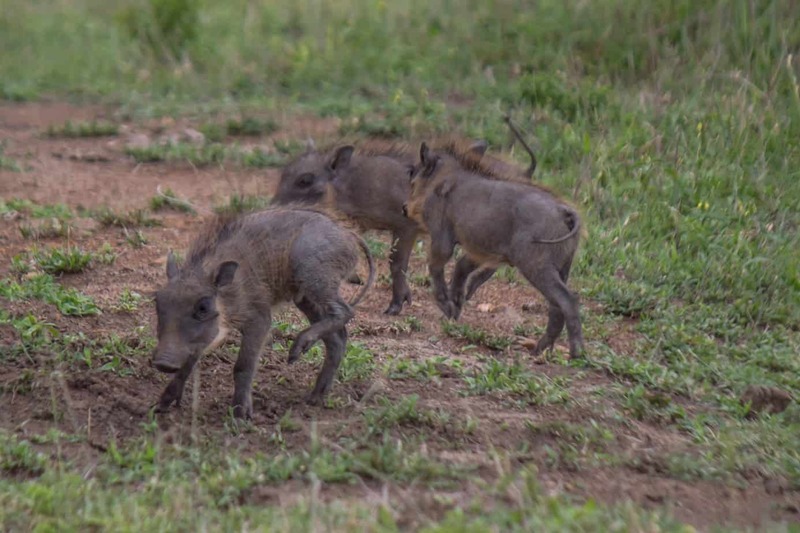 A litter consists of 2-8 piglets, though a number closer to 2-4 is more common. 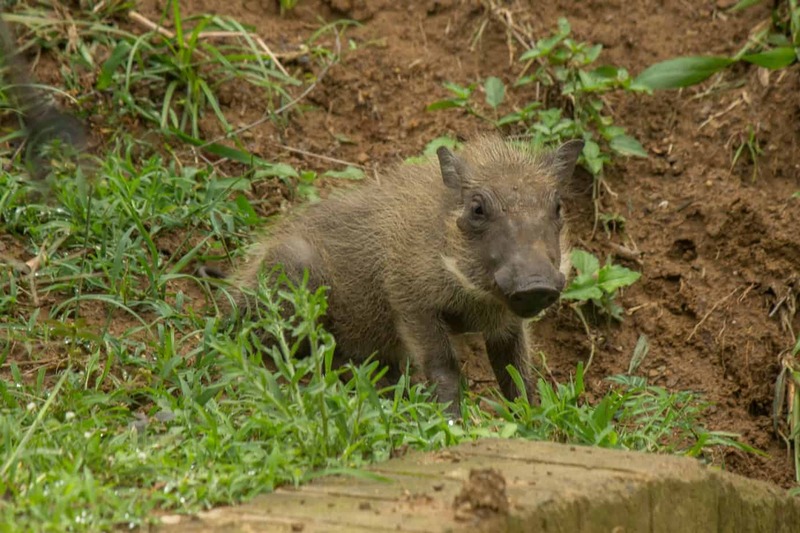 The female will give birth away from the sounder in a separate burrow, and she will stay there for several weeks as she nurses the piglets. 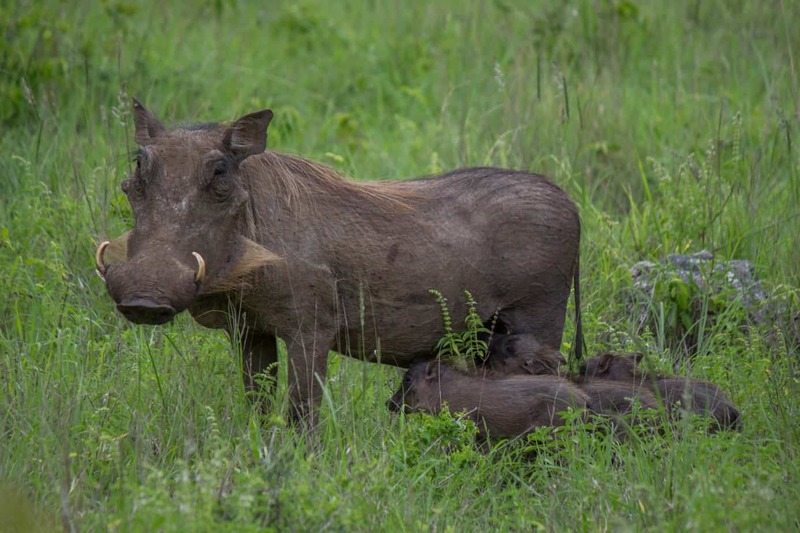 Warthogs have been observed nursing piglets from other females if they lose their own young. 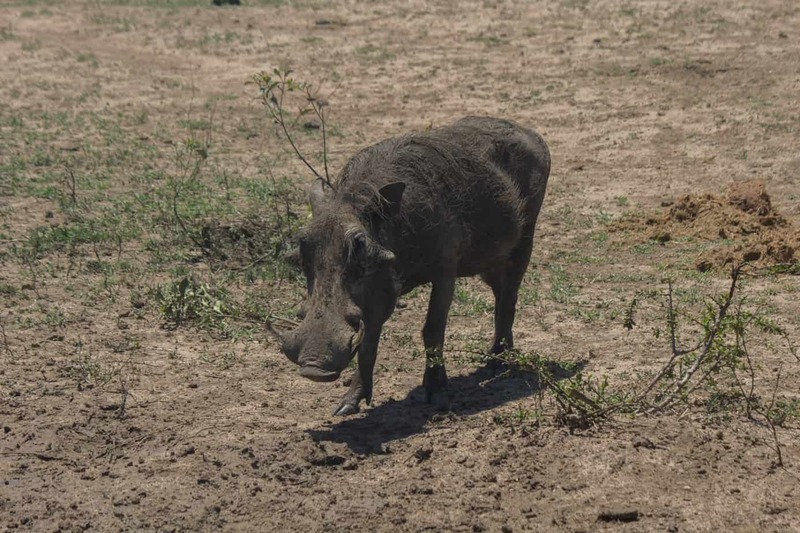 There are four subspecies of common warthog and none of them are listed as threatened. 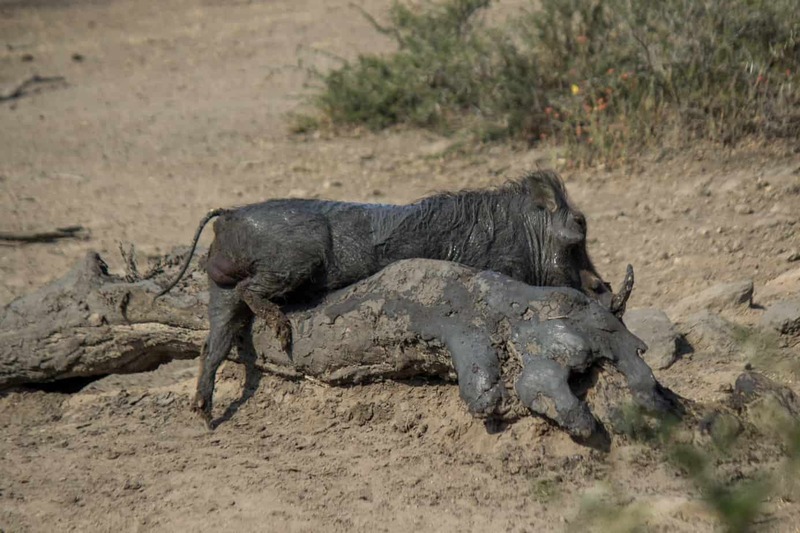 The desert warthog is considered a separate species. 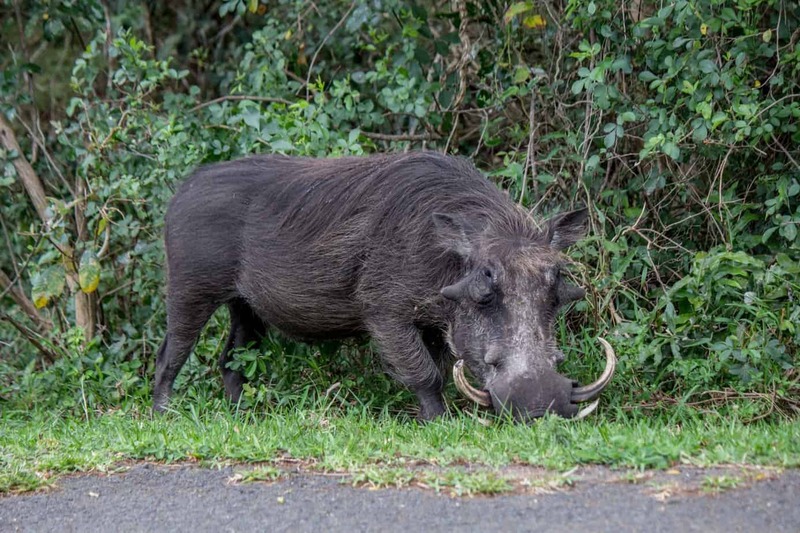 There are believed to be 250,000 common warthogs in the wild in Africa and it is listed as least concern on IUCN Red List. 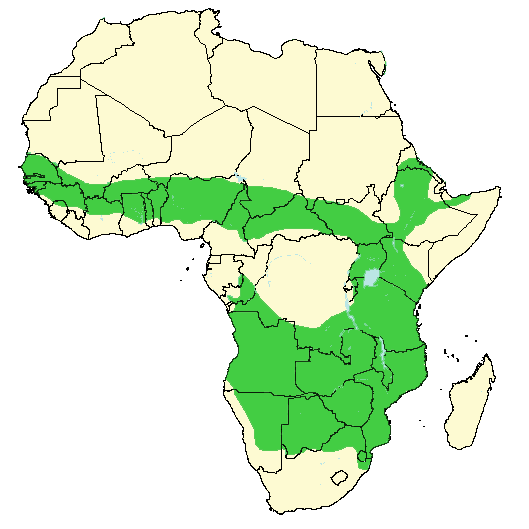 Common warthogs are common throughout sub-Saharan Africa, but drought and hunting can be cause for localized extinction in some areas. 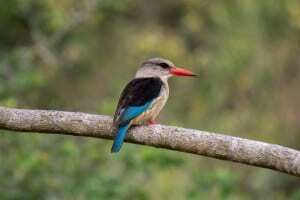 They are often found in good numbers in protected areas and the population is stable.